The diesel Chevy Enjoy is powered by a 1.3 litre turbo diesel engine that has an efficiency figure of 18.2 km/l. The Chevrolet Enjoy MPV is currently subject to a mega discount offer of Rs. 70,500 for a limited time from the 14th of November to 16th November, 2014. Within these three days, Chevrolet is offering a cash discount of Rs. 37,500, a gift cheque worth Rs. 10,000, loyalty bonus worth Rs. 20,000 and a corporate discount of Rs. 3,000. The Chevrolet Enjoy is priced between Rs. 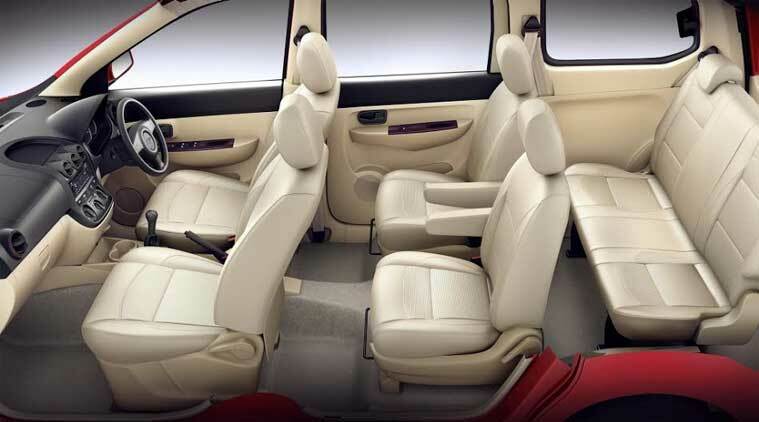 5.81 lakh for the base petrol LS eight seater variant of the MPV to Rs. 7.53 lakh (ex-showroom Delhi) for the top end diesel seven-seater LT variant of the Enjoy. And when you factor in the heavy discount on offer, the Chevrolet Enjoy does seem like a bargain considering it’s practical nature that makes it a great family MPV. The diesel Chevy Enjoy is powered by a 1.3 litre turbo diesel engine that has an ARAI claimed fuel efficiency figure of 18.2 km/l. The engine is capable of developing 77.5PS of peak power @ 4,000 rpm and 188Nm of max torque @ 1,750 rpm. The Chevrolet Enjoy petrol is powered by a 1.4 litre engine whose fuel efficiency is rated at 13.7 km/l. The motor develops max power of 104PS @ 6,000 rpm and 131Nm of peak torque @ 4,400 rpm. Chevrolet is offering discounts on the Beat hatchback, Sail hatchback and Sail sedan as well. The Beat carries three year comprehensive free insurance, Rs. 10,000 cash discount, Rs. 20,000 worth of free accessories and Rs. 20,000 loyalty bonus. The recently updated Sail hatchback and Sail sedan already bear discounts and are being offered with loyalty and exchange benefits.